Elsa, Olaf, Spiderman, the Hulk… you never know who will be knocking on your door this Halloween! 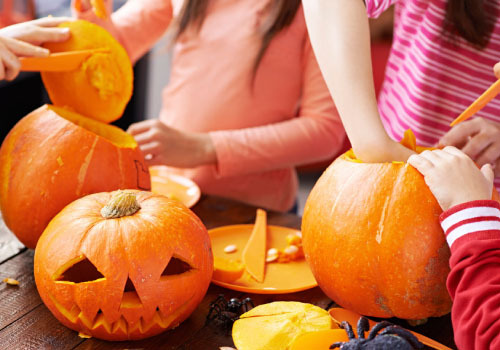 Halloween is one of the most anticipated fall holidays, especially for children. It is fun to dress up, pass out candy to the neighborhood kids and/or take your children trick-or-treating. Stay in tune and prepared this upcoming Halloween so you won’t be spooked by your child’s candy consumption this year. It is important for kids to learn that going overboard with sugar or total calories is not in keeping with a healthy body. Halloween can be a great time to reiterate the importance of moderation to your child. Explain and reinforce that the candy obtained trick-or-treating will be enjoyed over a period of time, not within one evening or one day. Have a discussion prior to the big trick-or-treat, discussing when and how much will be enjoyed each day, so there are not any surprises. Agreeing upon a treat schedule will make the days after Halloween much easier. After coming home from trick-or-treating, have your child dump all of their candy out. Allow him/her to make a pile of personal favorites to enjoy in moderation. Try donating the extra candy to a local shelter or to organizations collecting and sending care packages to those serving overseas. Attempt to put the candy away in a place that is out of sight and you may find that your kids forget about it a few days after Halloween. You can also try incorporating the sweet Halloween treats with whole-grain cereals, nuts and pretzels to make a hearty trail mix. It is important to remember at Halloween, and at any other holiday, that it is just one day a year. Indulging on the day of the holiday won’t necessarily affect your overall nutritional status too much; however, it is the nutritional choices made each day consecutively that impact your overall health and wellness. Limit your holiday celebrations to one day only and start right back up with your healthy eating habits the day after for optimal health. 4. Bake at 325° for about 30 minutes, or until lightly toasted. Stir occasionally during cooking.